First Look at Superman in Batman v Superman: Dawn of Justice! 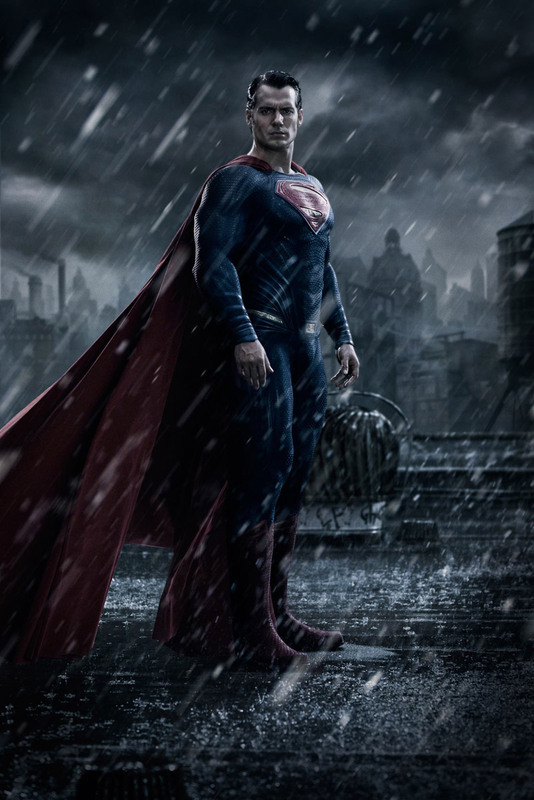 Warner Bros. has revealed the first official photo of Superman in Batman v Superman: Dawn of Justice. In a new USA Today interview, director Zack Snyder confirms we will see Superman in Batman’s Gotham City, explains why the title contains a “v” instead of “vs.” and says that he hasn’t filmed any scenes with Gal Gadot as Wonder Woman yet, but has filmed a few scenes with Henry Cavill and Ben Affleck together. You can check out the photo along with the full interview below. The director of last year’s Man of Steel doubles down on A-list superheroes in his follow-up Batman v Superman: Dawn of Justice (in theaters May 6, 2016), teaming a returning Henry Cavill as the big guy in the cape and “S” on his chest with Ben Affleck as the latest cinematic incarnation of the Dark Knight. By bringing in more DC Comics do-gooders such as Wonder Woman (Gal Gadot) and Cyborg (Ray Fisher), the new movie is thicker, denser and more epic than Man of Steel, according to Snyder. And it’s also the next step toward building a strong movie universe that ultimately leads to Snyder’s Justice League, the supergroup answer to Marvel’s The Avengers, tentatively scheduled for a 2018 release. Now filming in Detroit, Dawn of Justice is pretty much a thrill every day for the admitted comic fan. “It’s not an un-fun job, I will say that,” Snyder says. Cavill is definitely more comfortable in the role the second time around, says the director. The debuting heroes Superman meets will affect his perspective on Earth and on the ones he loves, and Snyder feels his convictions will be drawn into question as well. When developing Man of Steel, Snyder didn’t harbor dreams of one day putting Batman on screen, too — he figured he’d one day tackle an adaptation of Frank Miller’s seminal 1980s masterpiece The Dark Knight Returns, which pits a retired Batman against government agent Superman. While Snyder is surprised in a way that fans are already so pumped for Dawn of Justice, he also understands the anticipation.